The Battle of Jutland (31 May-1 June 1916) was the largest naval battle of the First World War, involving 250 ships and around 100,000 men. Over the course of the battle there were periods of intense action and inaction. In the end, 6,000 British and 2,500 German sailors were dead. The British lost 14 ships to the Germans' 11. Here's what happened over those critical two days. Map showing the movements of the British Grand Fleet and the German High Seas Fleet before the battle. IWM (Q 71358). Over the course of the battle there were periods of intense action and inaction. In the end, 6,000 British and 2,500 German sailors were dead. The British lost 14 ships to the Germans' 11. But Germany failed to fulfil any of the objectives laid out before Jutland and the damage done to the German fleet had a more significant impact on its fighting strength. The British on the other hand were again ready for action within hours. Although the Germans had avoided the complete destruction of their fleet, they were never again able to seriously challenge British control of the North Sea. Here's what happened over those critical two days. 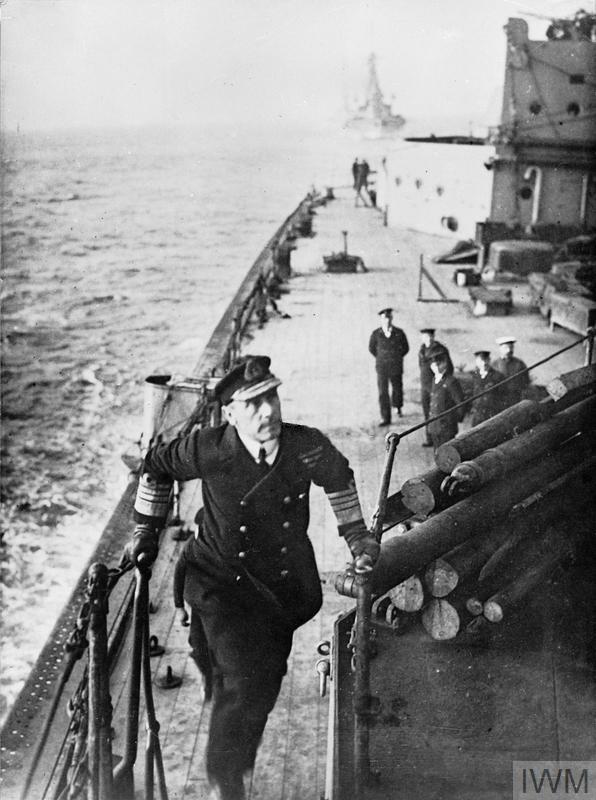 Admiral Sir John Jellicoe, Commander in Chief of the Grand Fleet, reaching the top of a flight of steps on board a battleship. A small group of sailors is stood below looking up at him whilst a capital ship sails astern of the ship. Admiral of the Fleet Sir David Richard Beatty, PC, GCB, OM, GCVO, DSO. Portrait of Vice Admiral Reinhard Scheer, the Commander-in-Chief of the German High Seas Fleet. 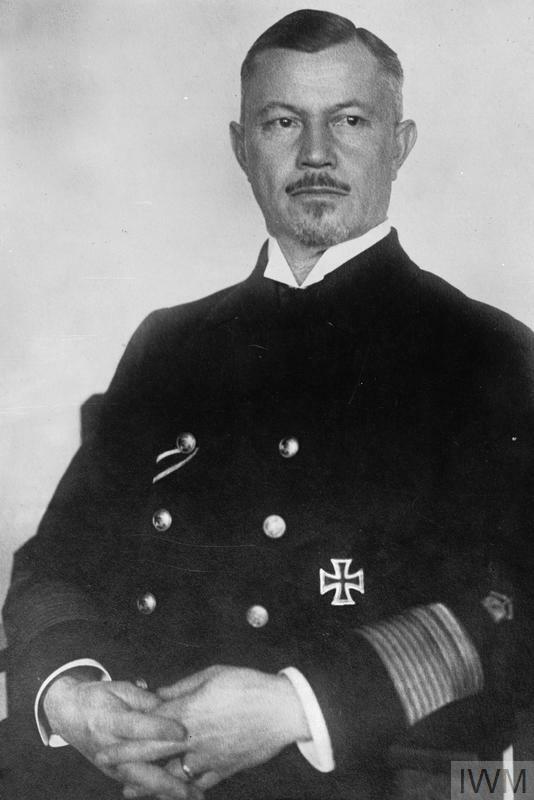 A head and shoulders portrait of Vice Admiral Franz von Hipper, the commander of the German scouting force during the Battle of Jutland. This consisted of five battlecruisers, five light cruisers and thirty destroyers. This force was intended to draw the British Grand Fleet on to the guns of the German High Seas Fleet. Early in the evening of 30 May 1916, the British Admiralty orders Admiral Sir John Jellicoe and Vice Admiral Sir David Beatty to sea after receiving intelligence that the German High Seas Fleet would be put to sea the next morning. At 10.30pm, the British Grand Fleet, under Jellicoe's command, sets sail from its base at Scapa Flow in northern Scotland. Beatty's Battle Cruiser Fleet and the 5th Battle Squadron leave shortly after from their base at Rosyth further south. 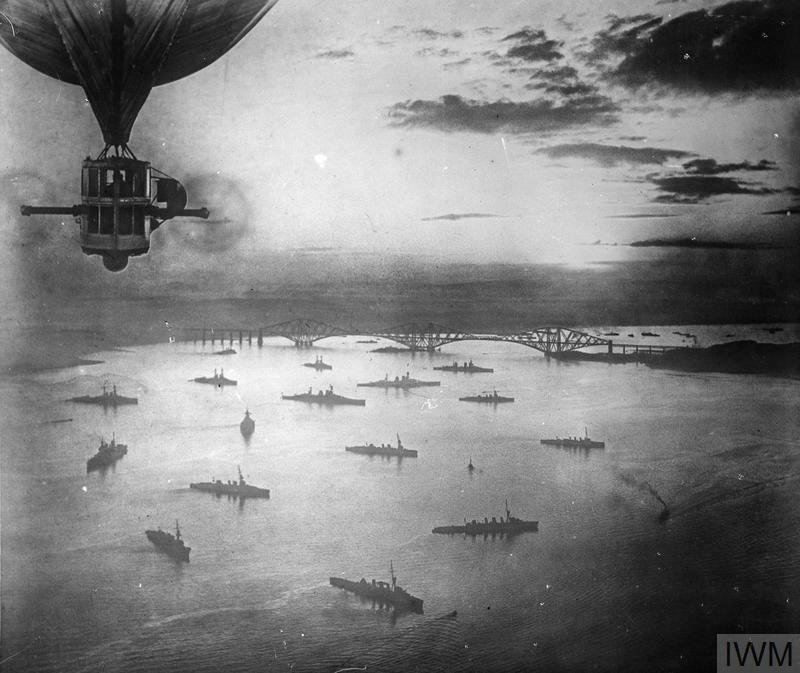 An aerial view of the British fleet in the Firth of Forth, 1916. This photograph was taken from British Airship R.9. The German battlecruisers of Vice Admiral Franz von Hipper's I Scouting Group set sail at 1am on 31 May. The rest of the German High Seas fleet, under Admiral Reinhard Scheer, is put to sea at 2am. At 2pm SMS Elbing, a German light cruiser, sights the Danish steamer N J Fjord and sends two destroyers to investigate. The Danish steamer also catches the attention of two of Beatty's light cruisers – HMS Galatea and HMS Phaeton. At 2.20pm HMS Galatea, noticing the two German ships, signals 'Enemy in sight'. 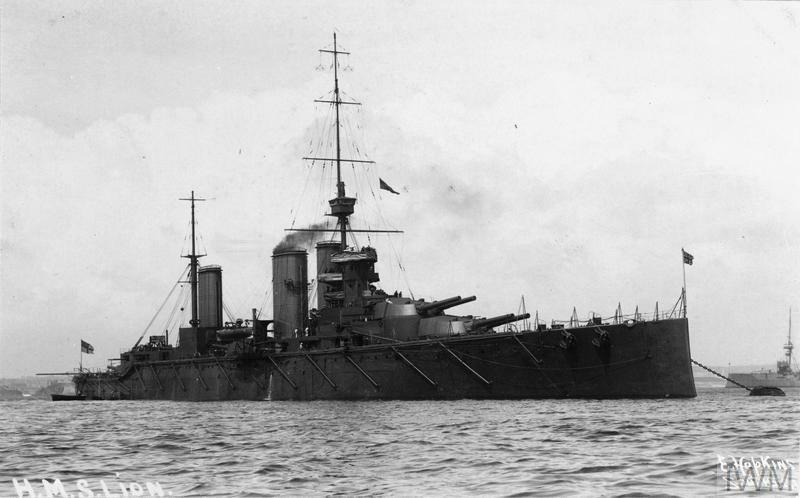 HMS Galatea fires the first shot of the Battle of Jutland at 2.28pm. Within minutes, Beatty orders his men to action stations. At 3pm, after receiving the earlier message from HMS Galatea, Jellicoe orders his men to prepare for action. They are still miles north of Beatty's Battle Cruiser Fleet. German cruisers sight the rest of Beatty's fleet. Weather and visibility favour the Germans, who are shrouded in heavy mist and cloud. Beatty's cruisers are easily spotted against a bright sky. Beatty wants to position his Battle Cruiser Fleet between Hipper's ships and the German port at Wilhelmshaven by moving the British warships southeast and then east. This would cut Hipper off by blocking a possible escape route. Shortly after 3.30pm, Beatty signals the first move to the southeast. The 5th Battle Squadron's superdreadnoughts – the most heavily armed ships with Beatty during the battle – are unable to read the signal. It takes several minutes for them to adjust their course, creating a gap between them and the rest of Beatty's force. The 'Run to the South' begins at 3.45pm. Hipper turns his force to the southeast, hoping to lure Beatty in the direction of the High Seas Fleet. Scheer's fleet is still 50 miles to the south, but approaching rapidly. Beatty's and Hipper's forces are both sailing southeast in roughly parallel lines. Battlecruiser action begins – both sides open fire at 3.48pm. Hipper's flagship, SMS Lützow, fires first. Beatty's flagship, HMS Lion, returns fire seconds later. There is some confusion as British ships fire on the wrong targets. No British guns fire on SMS Derfflinger, leaving it unchallenged for several minutes. Between 3.40pm and 3.55pm, Jellicoe receives a series of signals from Beatty. The last one reads: 'am engaging enemy'. At 4pm, a German shell from SMS Lützow destroys HMS Lion's 'Q' turret. Lion is saved from complete destruction by the severely wounded Major Francis Harvey, who receives a posthumous VC for his conduct. Minutes later, HMS Indefatigable explodes and sinks after being hit by SMS Von der Tann. Over 1,000 lives are lost. Jellicoe knows that Beatty and Hipper are moving away from the Grand Fleet at a speed his fleet cannot match. He sends the 3rd Battle Cruiser Squadron ahead, signalling to its commander, Rear Admiral Sir Horace Hood at 4:05pm: 'proceed immediately to support Battle Cruiser Fleet'. At 4.05pm, the heavily armed superdreadnoughts of the 5th Battle Squadron come into range and open fire. 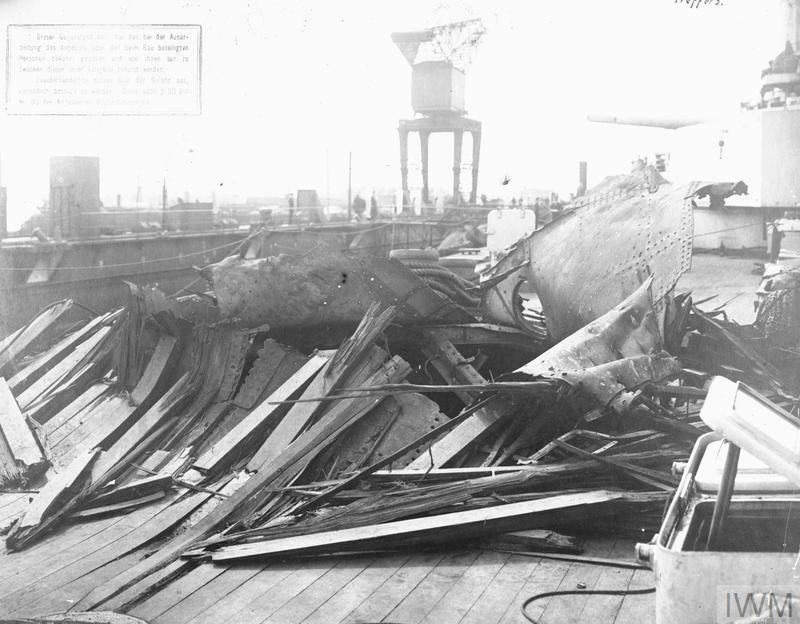 At 4.26pm, HMS Queen Mary receives a direct hit and is blown in half after its magazine explodes. Over 1,200 crewmen are killed. HMS Princess Royal is hidden behind a screen of smoke and sea spray. It is wrongly reported as having been blown up. Upon hearing this news, Beatty turns to his flag captain and says, 'There seems to be something wrong with our bloody ships today'. The British and German destroyers clash as each force attempts to torpedo the larger ships in the opposing fleet. SMS Seydlitz is damaged and several German destoryers are sunk. The British lose two destroyers, HMS Nomad and HMS Nestor. Commander Barry Bingham had only taken charge of HMS Nestor a month prior to Jutland. His leadership under heavy fire during the battle earned him the Victoria Cross. At 4.33pm Commodore William Goodenough's 2nd Light Cruiser Squadron, at the southern tip of the British Battle Cruiser Fleet, sights Scheer and the rest of the High Seas Fleet. At 4.38pm Goodenough signals 'URGENT. PRIORITY. Have sighted enemy battle fleet, bearing approximately southeast'. Ten minutes later Goodenough sends another signal with further details about the size and course of the German fleet. He then turns his force around, narrowly escaping German fire. Beatty signals to Jellicoe that he is in sight of the German High Seas Fleet. The 'Run to the North' begins at 4.40pm. After receiving Goodenough's first signal, Beatty turns the Battle Cruiser Fleet northwards to avoid the trap set for him by Hipper and Scheer. Hipper turns his ships north to pursue – Beatty sets his own trap by drawing the Germans towards Jellicoe and the British Grand Fleet. Due to signalling confusion, the 5th Battle Squadron continues to head towards the German fleet and does not turn north for another 14 minutes. As Evan-Thomas's 5th Battle Squadron begins its move north, they act as a defensive shield at the rear of the Battle Cruiser Fleet. Three of the four superdreadnoughts are heavily damaged, but all survive. Jellicoe signals the Admiralty at 4.51pm: 'Fleet action is imminent'. HMS Queen Mary explodes after being hit by SMS Derfflinger, killing over 1,200 men. Unable to see the Grand Fleet as it approaches, the Germans are about to enter the trap set by the British. Hood's 3rd Battle Cruiser Squadron joins the action at 5.30pm. HMS Chester is sent to investigate gun flashes in the distance when four German light cruisers suddenly appeared and opened fire. Almost all of Chester's guns are damaged beyond use, including the gun manned by Boy (1st Class) Jack Cornwell, who is posthumously awarded the VC for his actions at Jutland. 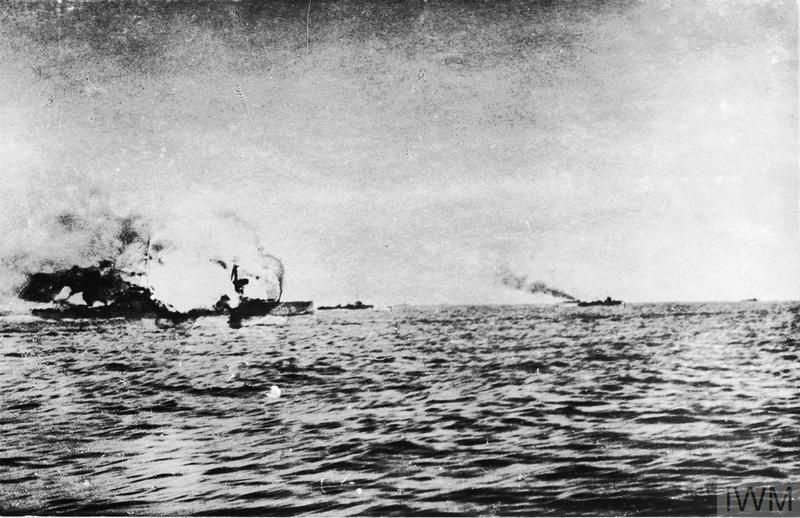 The rest of Hood’s force comes into action and HMS Shark is hit – the first of many devastating blows the destroyer receives. Only six of its crew would survive the Battle of Jutland. Among the dead is Commander Loftus Jones, who is posthumously awarded a VC for his bravery during the battle. Just before 6pm, Jellicoe makes visual contact with Beatty's battlecruisers. Hipper receives news that British dreadnoughts have been sighted to the east. The German battleships emerge from thick mist to see the Grand Fleet ahead of them. At 6.15pm, Jellicoe orders the Grand Fleet to deploy in preparation to cross the German 'T'. 'Crossing the T' is a manoeuvre in which one fleet moves across the leading elements of an approaching enemy fleet, forming the shape of the letter 'T'. This allows the crossing fleet to fire the majority of its guns in a massive broadside, whereas the enemy can only respond with shots from the forward guns of its leading ships. To set this up, Jellicoe's battleships move out of cruising formation – 6 parallel lines of 4 ships each – into a single line stretching several miles long. This highly complex move was completed with no collisions. At 6.30pm, the British cross the German 'T' for the first time. Shortly after, HMS Invincible engages SMS Derfflingerand is hit. Invincible explodes, breaking in half. Over 1,000 members of the crew are killed, including Rear Admiral Hood. British sailors later cheer as they pass the wreck, thinking it was a German ship. Germans are increasingly coming under fire at short range. Scheer fears the complete destruction of his force and at 6.35pm orders the High Seas Fleet to turn and sail in the opposite direction. This reversal of course is known in German as Gefechtskehrtwendung ('battle about turn'). In poor visibility, the High Seas Fleet vanishes within four minutes. At 6.55pm, twenty minutes after the first about turn, Scheer orders his fleet to turn around for the second time. The High Seas Fleet sails east – in the direction of the Grand Fleet. 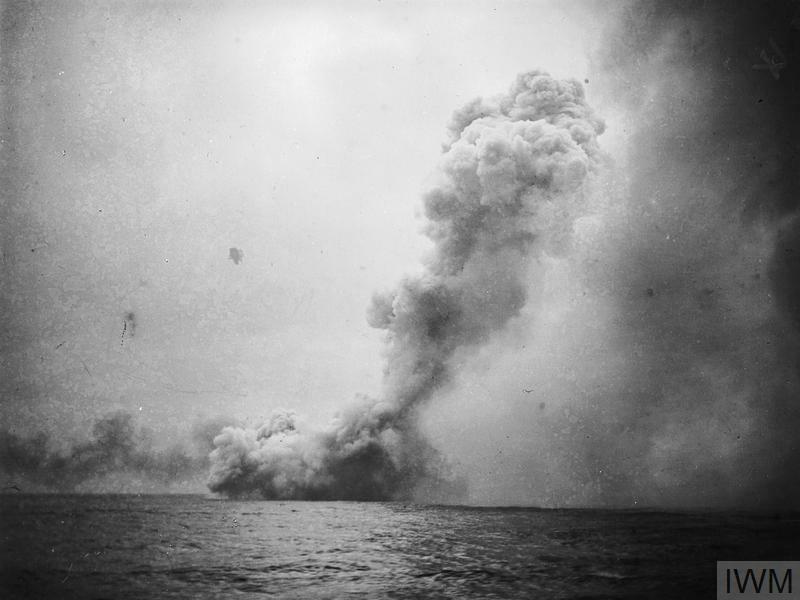 HMS Invincible explodes during the Battle of Jutland. The photograph appears to have been heavily retouched. Jellicoe crosses the German 'T' for the second time at 7.10pm. Visibility begins to favour the British. The German ships are silhouetted against the setting sun and suffer repeated hits. At 7.13pm, Scheer orders the 'death ride' of the battlecruisers, which charge at the Grand Fleet even though most are seriously damaged. Minutes later the High Seas Fleet does its third about turn. Scheer then orders his destroyers to begin a massed torpedo attack on the British line to cover the German battleships’ withdrawal. At 7.22pm, Jellicoe turns to avoid the torpedoes. Scheer's earlier attacks had failed and cost him heavily, but forcing Jellicoe to turn away took pressure off the fleet at a critical moment. 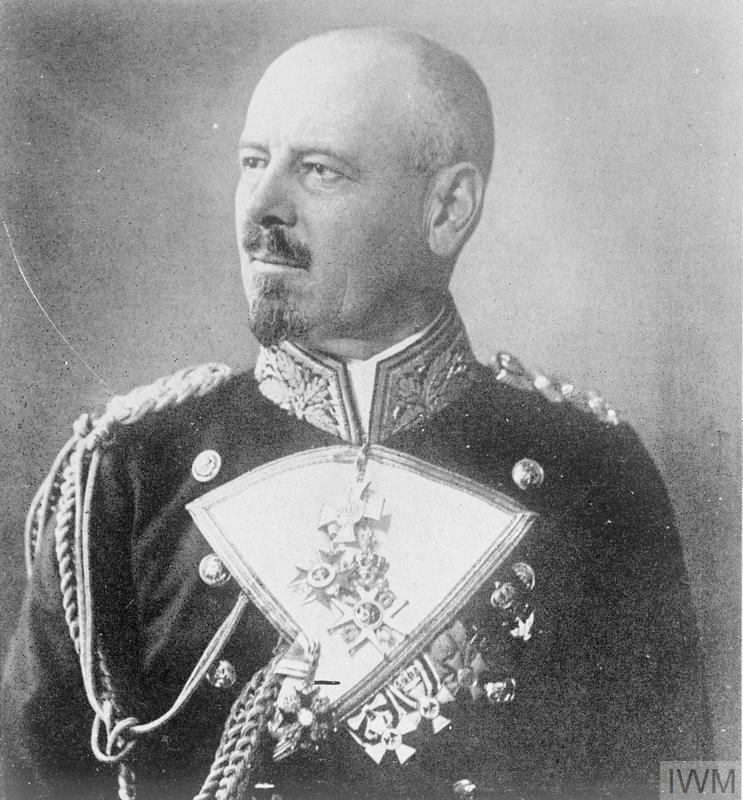 When Jellicoe resumed his pursuit, the German fleet was out of sight – and out of range. At 7.45pm, Scheer alters his course south, towards the safety of home waters. As darkness begins to fall, both fleets reorganise. The British still stand between the High Seas Fleet at its base, but Jellicoe wants to avoid night action. He knows the Germans have more experience of night fighting and are better equipped to fight in the dark. Around 8.30pm, the final shots are fired between British and German battlecruisers. Jellicoe orders his fleet into night cruising formation and signals 'no night intentions'. Despite this, most men remain at action stations throughout the night. Scheer decides to take the shortest route to port – southeast to Horns Reef and then south to Wilhelmshaven. Jellicoe heads south as Scheer heads southeast. The British and German fleets cross paths, but for the most part these movements go undetected. Over the next six hours there would be short bursts of violent action between the smaller ships in each fleet. No news of these engagements reaches Jellicoe. SMS Frauenlob sunk by HMS Southampton, Goodenough’s flagship, at 10.35pm. At 11.20pm, the British 4th Destroyer Flotilla, at the rear of the British fleet, engages in night action with German dreadnoughts and light cruisers. HMS Tipperary is hit and explodes. The confused action continues for 45 minutes as the High Seas Fleet continues on course to Horns Reef. The last of the 4th Flotilla’s destroyers to take part in the action were HMS Ardent and Fortune, both of which are sunk. 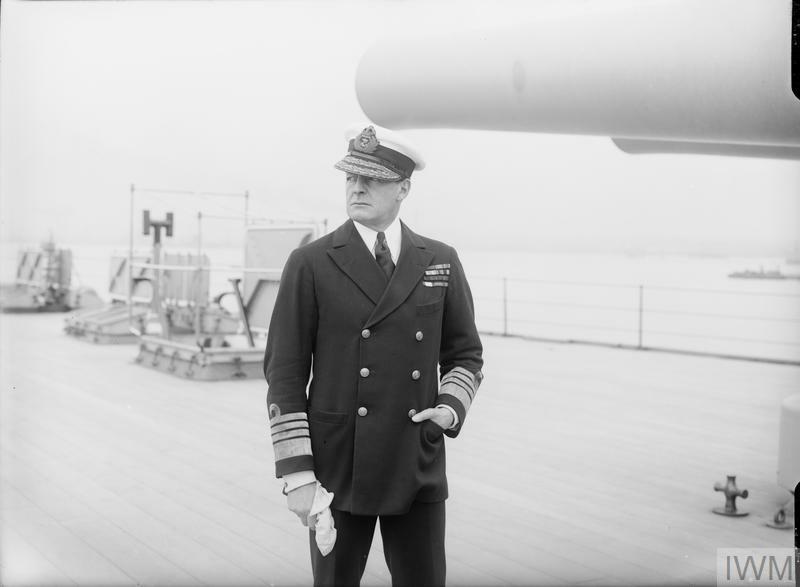 No news of these actions is passed to Jellicoe, who remains unaware of the presence of German battleships. Damage done to the deck of the German battlecruiser SMS Derfflinger. At 12.20am on 1 June, the British armoured cruiser HMS Black Prince, having been separated from its squadron several hours earlier, blunders into the German battle line. It is fired on and sinks. The entire crew of 900 is killed. SMS Westfalen sinks the destroyer HMS Turbulent just after 1am. Germans scuttle the heavily damaged SMS Lützow. As dawn breaks, Scheer completes his breakthrough of the British line. The last night action between the British destroyers and the German battleships and light cruisers lasts from 2am to 2.15am. The pre-dreadnought SMS Pommern is torpedoed and sinks with the loss of its entire crew. Around 4.15am, Jellicoe reforms the fleet into its daytime cruising position. British light cruisers join the rest of the fleet formation at 6am. The last of the British destroyers join the fleet formation. Beatty's communications with Jellicoe reveal the loss of the HMS Queen Mary and HMS Indefatigable, 17 hours after they sank. At 11am Jellicoe turns the Grand Fleet northwest towards Scapa Flow. Most of the High Seas Fleet reaches the safety of German harbours between 1pm and 3pm on 1 June. Scheer's flagship, SMS Friedrich der Grosse, arrives at Wilhelmshaven at 3pm. Who Were The Key Personalities In The Battle Of Jutland? The Battle of Jutland involved around 100,000 men from both the British and German navies. Four of these men in particular were crucial to the events that took place. The Battle of Jutland, fought over two days from 31 May 1916, was the largest sea battle of the First World War. It pitted 151 British warships against 99 German ships and was the first and only time the two battle fleets confronted each other.